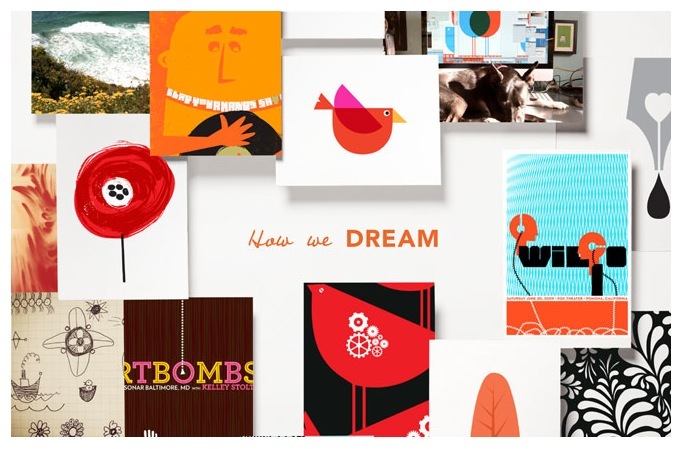 Detail of Domtar & Cougar Paper’s new campaign “Dream” featuring strawberryluna! Introducing part of a project that we’ve been dying to share! Lil ol’ strawberryluna was selected by Domtar, the makers of our beloved workhorse Cougar Paper which we use almost exclusively for our silkscreen prints & posters, to be featured in a year-long ad campaign for Cougar throughout 2013. 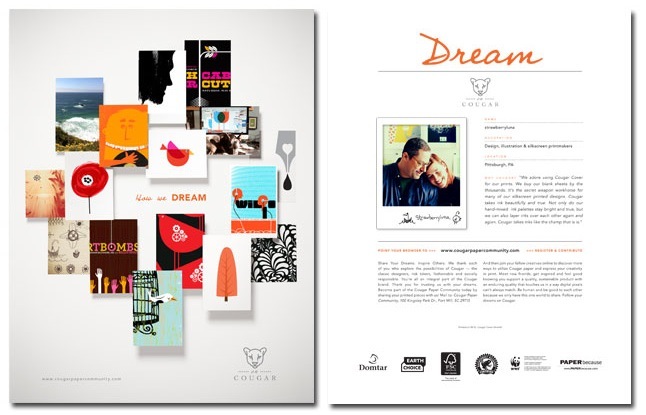 “Dream” promotion of Cougar Paper by Domtar, featuring strawberryluna. The ads will be featured in design magazines like HOW Design, Communications Arts, Print, Applied Arts, Graphic Design USA, Printing Impressions, Design Edge, CANVAS and more in 2013. We’re beyond bowled over and thrilled to be partnered with our favorite paper, Cougar this year. We’ve been using Cougar Paper and talking about this paper’s virtues for years, both in our silkscreen printmaking work and in more commercial printing projects. Domtar and Cougar are internationally recognized for their commitment to environmentally sound and sustainable practices. And Cougar specifically is an acid-free, archival and certified ecologically responsible paper. So what’s not to love? That’s what we think. 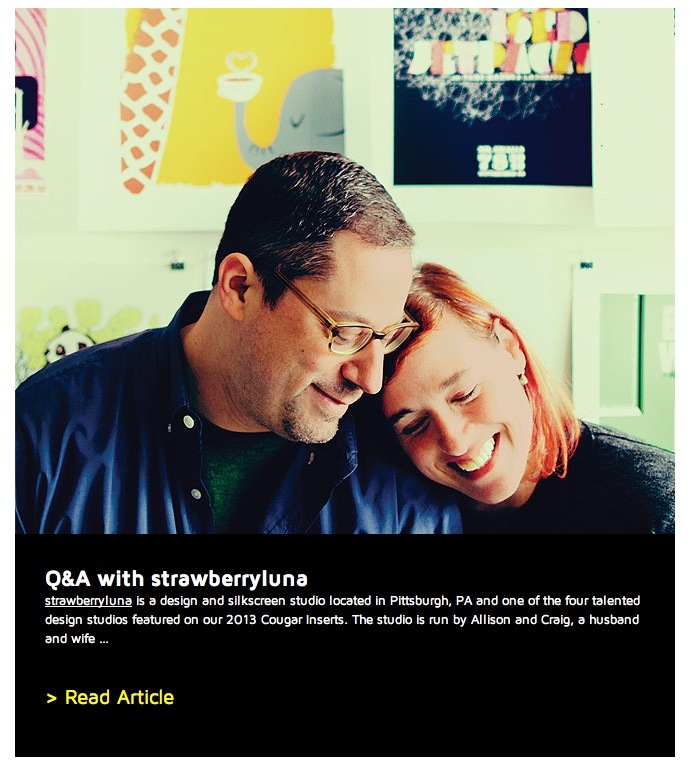 To that end, here’s an interview we did recently with the new Cougar Paper Community site. Photo courtesy of Joey Kennedy. The new Cougar Paper Community site is a new space where designers and artists join the community to interact and submit example pieces utilizing Cougar Paper, request samples, take part in promos and more. Yay for Cougar making our prints and posters bright!